GuilFest was started in 1992 by Tony Scott, who still runs and directs the festival. The first festival attracted 1,500 people per day. Now in its 18th year, GuilFest is attracting up to 20,000 visitors each day and has truly established itself as one of the UK�s leading festivals, winning the prestigious �Best Family Festival Award� at the UK Festival Awards in 2006 and being consistently nominated for the award over the last years. Not too big, not too small, Guilfest remains an independently run festival with a very friendly atmosphere, held in the beautiful surroundings of Stoke Park, Guildford over the weekend of the 10th, 11th and 12th July 2009. 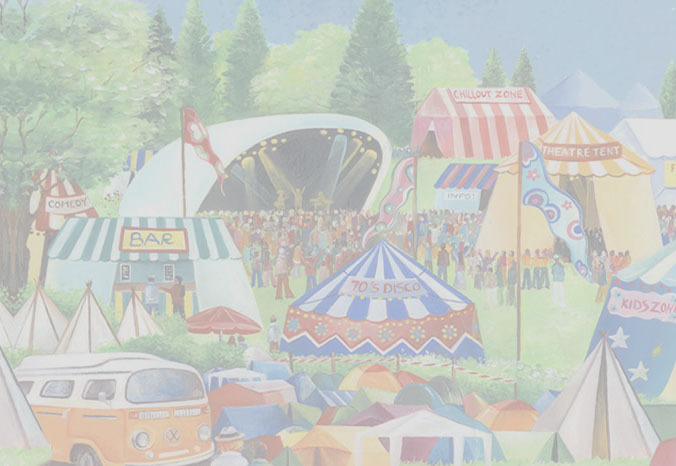 Visitors can expect a weekend of live musical entertainment coupled with comedy, children�s entertainment, street theatre, theatre tent, art/craft exhibitions, and caterers from around the world providing a variety of meals in a truly festive atmosphere.